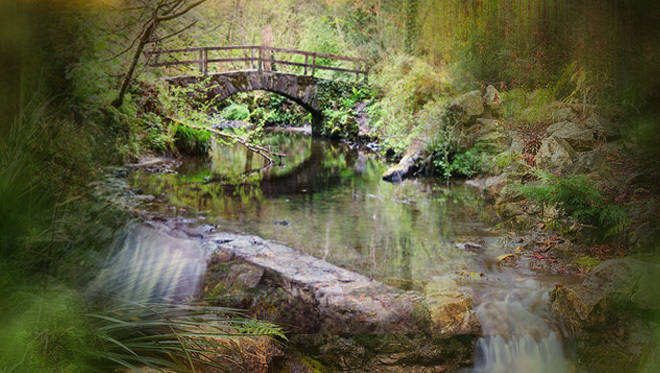 The "Romantic Glen" of the Cabra River, stretching the full length of the Park, is an area steeped in history and legend. 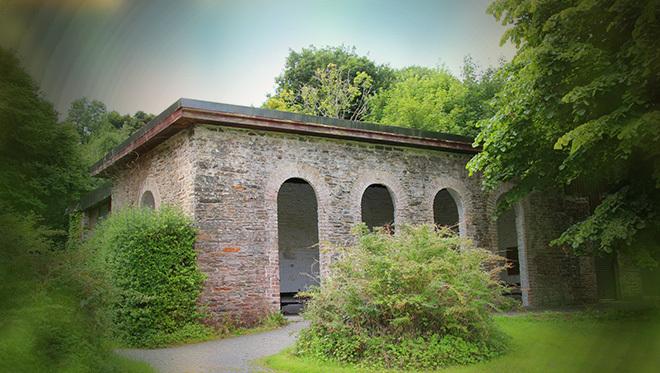 The Forest Park, embracing part of the Cabra Estate formerly owned by the Pratt family is situated in the Parish of Enniskeen which includes a portion of the Barony of Clankee, Co. Cavan and a smaller part of the Barony of Kells, Co Meath. From the third to the sixth century this territory was occupied by the Gailenga, a warlike people who were established here to guard the frontiers of the Kingdom of Tara. From the sixth century onwards, following the disintegration of Tara, the power of the Gailenga gradually declined, although the Annals of Ulster provide evidence that as late as the eleventh century they still wielded considerable power in the district. With the decline of the Gailenga, the O'Reilly family grew in power in the area and ruled the territory until the end of the sixteenth century, being in turn supplanted by the growing Anglo-Norman family of Fleming. In 1607 Gerald Fleming commenced building of Fleming's Castle at Cabra following a grant of land by James I. The family subsequently supported the cause of James II and during the Williamite period their estates were confiscated and the family link broken. In 1666 Colonel Thomas Cooch, a forebear of the Pratt family, came into possession of the estate. The property was ultimately acquired by the Forest and Wildlife Service in 1959. 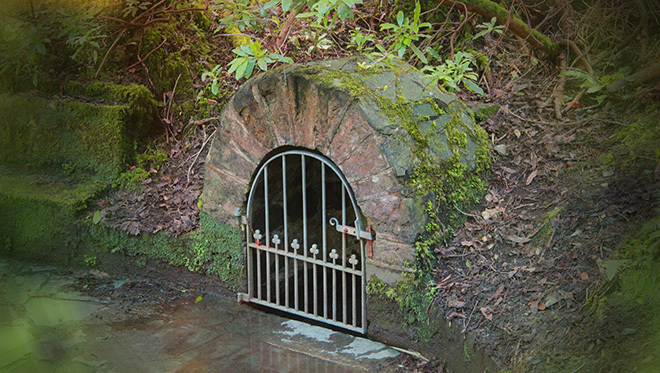 The "Romantic Glen" of the Cabra River, stretching the full length of the Park, is an area steeped in history and legend. It is said that Cúchulainn camped here at night while by day conducting his single-handed defence of Ulster against the armies of Maeve. The Normans were here also and in later years the glen echoed to the sounds of Cromwell's armies. An tSeirbhis Foraoise agus Fia dhulra, nd. No publication date (Pre-1990). There are many wonderful sculptures in the forest including; the Irish Hare, the Fox, the Badger, the Otter, the Pine Marten, the Frog and the Red Ghosts. 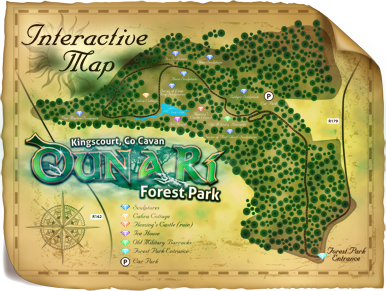 Dún a Rí Forest Park website is a partnership project between Cavan County Council Arts Office and Coillte in association with Kingscourt Development Association. 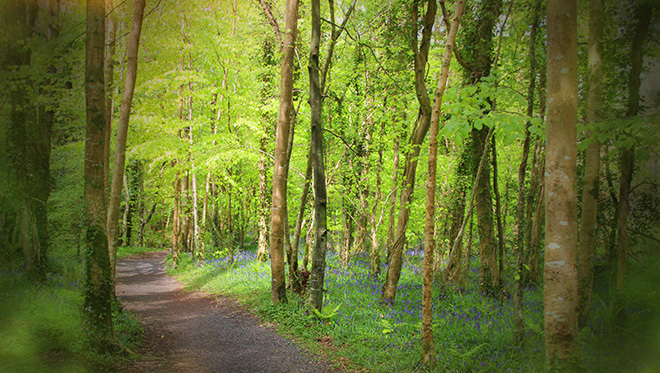 The wood sculptures at Dún A Rí Forest Park were created by Joey Burns. Joey has been carving / sculpting wood since 1988.